When it comes to mass media, The Mate and I are the kiss of death. If we love it, chances are it’s not commercially viable, and it goes away. Case Study #1: Summer Olympics, Barcelona, 1992. TBS ran something called “Triplecast,” meaning three different channels simultaneously broadcasting three different sports venues. So instead of being hijacked into watching prime-time, after-the-fact gymnastics performances while waiting for that one after-the-fact swim race that’s been hyped all week but won’t be on till 11 p.m., we could watch the competitions we were interested in, LIVE. We track & field junkies were in heaven–but a very sparsely populated heaven, apparently. TBS lost a ton of money, which is why you’ve never heard of Triplecast. Case Study #2: Cutter’s Way. The best movie no one we know has ever heard of, ever. Go watch it. Bring a handkerchief. Case Study #3: My So-Called Life. You may have heard of this one. Still–audiences were too small to make it viable, apparently. It died after a single season. And now…Case Study #4, to me the saddest of all. Our beloved Al-Jazeera America TV news station is going dark after not quite two years on the air. Although The Mate and I love its sober, non-flashy approach to news, its coverage of topics other networks never touch, and its perspective (more on that in a moment), we are, once again, in the minority. It seems AJAM has a viewership of only 20,000-40,000–NATIONALLY. No, I did not accidentally drop a zero. The other networks beat that by more than a multiple of ten. Al Jazeera.com’s take on their TV station’s demise is, typically, a little different. They focus on the company’s desire to compete in the global digital media market–no mention of falling oil prices. So, Gretchen–you might be wondering now–if you heard this story first on CNN, and if CNN gave you a background that AJAM did not discuss, WHY is this a superior news channel? Easy. It’s because the shoe’s been on the other foot 99 times out of 100 in the past two years. Al Jazeera, as mentioned above, is run from Qatar. They are “foreigners,” and (mostly) Muslims. Therefore, their perspective turns our mainstream media’s xenophobia and anti-Muslim bias on its head. I cannot tell you how refreshing, and indeed how necessary, that breath of perspective is during these heated times. I never heard this story about Muslim Americans raising money to repair black churches from any other news source. Yes, those news channels which share my political bias irritate me less than those which don’t. But only a little. I despise snarky news, even when the snark fits my own political profile. 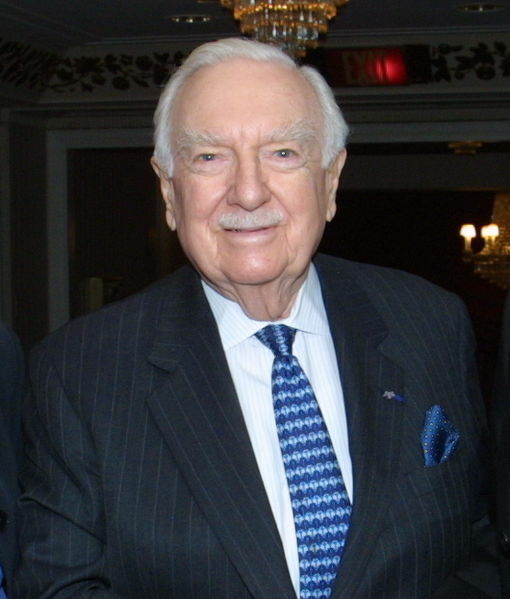 I grew up with Walter Cronkite, people. I miss Uncle Walter more than I can say. I’ve never seen AJAM use snark, even in its editorial pieces. For Boston resident Barbara Fisher, the snow has been more than just an inconvenience. Problems with public transit caused the 25-year-old mother of two to lose hours at her job at Dunkin’ Donuts. Added to the extra child care she had to pay because schools were closed, that has put a real strain on her budget. Could xenophobia possibly have anything to do with AJAM’s failure to thrive? Hmmm…that’s a toughie. Luckily for me, and for Americans if they’d start listening to me 🙂 , Al Jazeera will still exist online, where I will continue to visit to learn stories that I won’t hear from my fellow Americans. But when our TV’s on? I’ll be watching The Daily Show. At least they’re honest about being a pretend news show. This entry was posted in Wing's Words and tagged Al Jazeera, Al Jazeera America, black lives matter, CNN, Cutter's Way, minorities, My So-Called Life, poverty, summer olympics, The Daily Show, track & field, Walter Cronkite by gretchenwing. Bookmark the permalink. I didn’t watch their news on TV very much but then I never watched anyone’s news on TV much. I have followed Al Jazeera on Twitter for over a year. Guess I still can. Yes, of course–Twitter. I should have mentioned that. Good on ya, Clay.